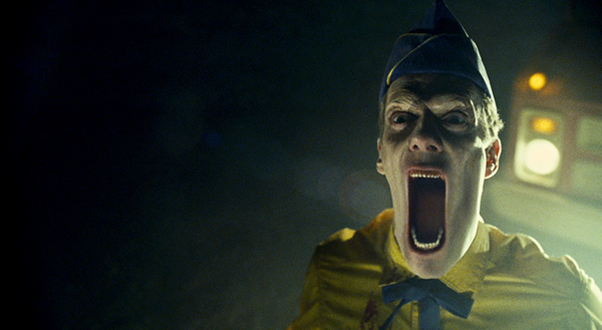 Today’s film is Legion, a 2010 quasi-religious sci-fi horror film starring Paul Bettany. Legion was directed, produced, and co-written by Scott Stewart, who is best known for Dark Skies and Priest. The other writer on the film was Peter Schink, who has primarily worked as an editor on such movies as Detroit Rock City and Barb Wire. The cinematographer for Legion was John Lindley, who has shot such various films as Mr. Brooks, The Core, Sneakers, True Believer, Field of Dreams, and The Good Son. The editor for the film was Steven Kemper, who also cut the movies Timecop, Face/Off, Showdown in Little Tokyo, and 1989’s The Punisher. The team of producers behind Legion included effects worker Jonathan Rothbart (Blade Runner, Dragonheart, Hellboy), Gary Michael Walters (Nightcrawler, Whiplash, Drive), Marc Sadeghi (The Spirit), Jonathan Oakes (Drive, The Hole), David Lancaster (Dracula 3000, Slipstream), and Michel Litvak (Only God Forgives). The musical score for the movie was composed by one John Frizzell, who has contributed music for such other features as Ghost Ship, Office Space, and Dante’s Peak. The group of makeup effects workers on the film included Svetlana Brit (Gamer, The Lone Ranger), Isabel Harkins (Donnie Darko, Striptease), Glenn Hetrick (King of the Ants, Blade II), Jason James (Watchmen, The Cabin in the Woods), Richard Maybery (Seven Psychopaths, Starship Troopers), Veronica McAleer (Priest), Melanie Tooker (Wishmaster, Bubba Ho-Tep), Corey Welk (The Avengers, No Country For Old Men), Steve Winsett (Star Trek Into Darkness), Georgia Allen (Interstellar), and Art Anthony (Manic, Wild Wild West). The special effects team on Legion included Suma Adams (Spider-Man 3, Sucker Punch), Kevin Carter (Dracula 3000, Hitman, Death Race), Sophia Coronado (TRON: Legacy, The Last Airbender), Tommy Frazier (The Haunting, Stealth, Burlesque), Nicholas Hiegel (Inception, Iron Man), Daniel Holt (Beerfest), Marc Irvin (Congo, The Green Mile), Louis Kiss (Space Truckers, Drive Angry), Margaret Johnson (Hamlet 2, Bottle Rocket), Bob Mano (The Happening, Lake Placid, Small Soldiers), Ian O’Connor (The Fog, Torque), Larry Odien (Space Truckers, From Dusk Till Dawn, Captain America), Brad Palmer (The Hunger Games), and Mike Prawitz (The Avengers). The massive visual effects crew for Legion was composed (partially) of Melissa Abad (Cowboys & Aliens), Neishaw Ali (John Wick, Pompeii), Joe Bauer (Game of Thrones, Frailty, Double Team), Jeff Campbell (Jason X, The Cell), Ryan Clarke (Man of Steel, Jurassic World), Del DePierro (Noah, The Spirit), Kai Zhang (Watchmen, Pompeii), Steve Wigmore (Saw IV), Antonello Stornelli (Black Swan, Speed Racer), Migs Rustia (The Mist, The Spirit), Jonathan Rothbart (Avatar, Sin City), Rebecca Ramsey (Torque, Wolf, Mortal Kombat), and Fiona McLean (Dragonball: Evolution). The cast of Legion was made up by such players as Paul Bettany (Creation, Avengers: Age of Ultron), Lucas Black (Jarhead, Sling Blade), Tyrese Gibson (Death Race, 2 Fast 2 Furious), Adrianne Palicki (John Wick, Agents of S.H.I.E.L.D. ), Charles Dutton (Mimic, Alien 3), Dennis Quaid (Frequency, Jaws 3-D), Kevin Durand (Winter’s Tale, Smokin Aces), Jon Tenney (The Closer, Green Lantern), Willa Holland (Arrow), and Kate Walsh (Private Practice, Grey’s Anatomy). 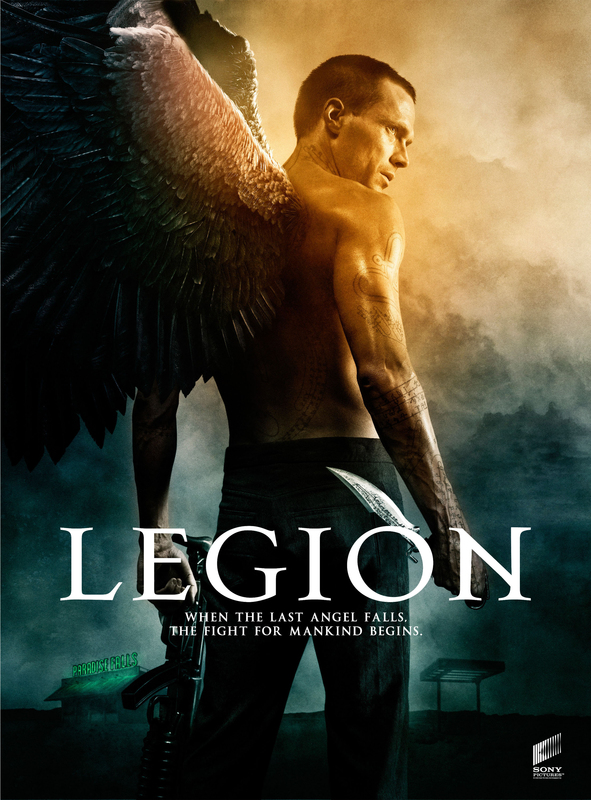 The story presented in Legion has been followed up and and somewhat re-imagined in the television series Dominion, which has been running on the Syfy network since 2014. The estimated budget for Legion was $26 million, on which it grossed just under $68 million in its worldwide theatrical run. In spite of its profitability, the movie was universally panned by critics and audiences: it currently holds an IMDb rating of 5.2, alongside Rotten Tomatoes aggregate scores of 19% (critics) and 31% (audience). Personally, I really like the premise to Legion. Siege situations like the one featured here can make for pretty fun and tense movies, like Assault on Precinct 13 or Maximum Overdrive. 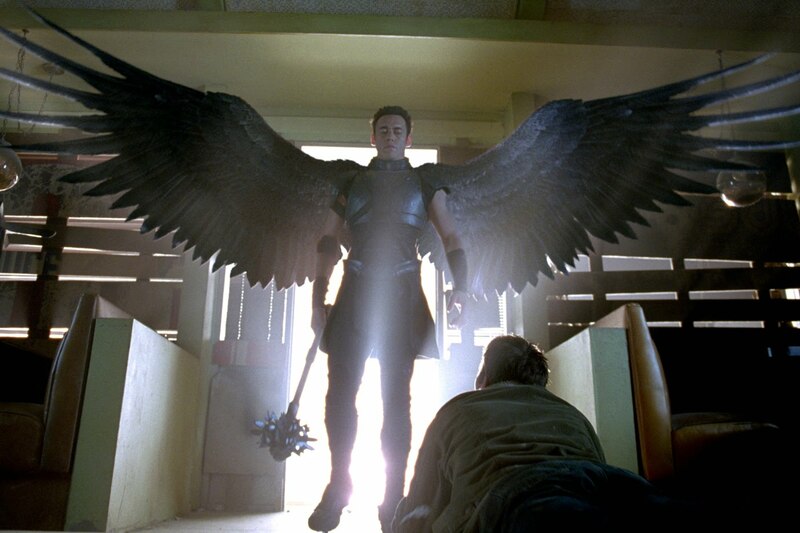 Also, the presence of a quasi-religious Christian pantheon has worked pretty well for the current hit show Supernatural, which was already well into its cable run by the time Legion came along in 2010, not to mention countless other movies like Constantine or The Gate. So, the match here would seem to be a perfect fit. But, for some reason that is hard to specifically pinpoint, it just isn’t. 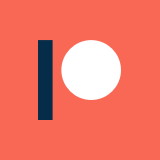 Personally, I found the movie to be pretty dull and flat overall, in spite of a decent scenario and premise, and I clearly am not alone in that thinking. The plot winds up following a bit too closely to The Terminator, which makes it seems a little too familiar than it should. That feeling certainly isn’t helped at all by the mediocre writing and acting across the board here, which makes the movie feel and look like an accessory cast in need of a charismatic and dynamic lead (or two). The effects work in Legion is a mixed bag. The practical effects and designs all look genuinely eerie and off-putting, but they are almost ruined at times by some hokey-looking animation that hasn’t aged particularly well, even for just five years down the line. Overall, Legion is an unfortunately forgettable and mediocre display that never quite lives up to the promise of its premise. There are certainly a handful of highlights, but the film is just a hint too dull to be very enjoyable. I could maybe recommend it as background noise or a time-killer, but not much beyond that.